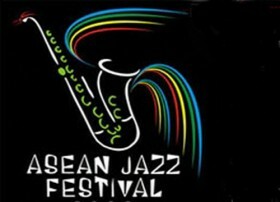 Asean Jazz Festival is held again to the three Ministries of Culture and Tourism Republic of Indonesia. Event held for two days from the date of 15 to 16 October 2010 was held at Harbour Bay Batam. A number of Indonesian artists, such as Krakatoa, Dwiki Dharmawan World Peace Orchestra, Syaharani, Barry Likumahuwa Project featuring Benny Likumahuwa, Ivan Nestorman, Agam Hamzah, Lea Simanjuntak and more. It is said by Agus as the news of jazz, not only Indonesian musicians, a number of artists representing their respective countries also helped enliven the event. Namely, Bassgroove from Malaysia, Natasha Patamapongs representing Thailand, and Eugene Ang from Singapore and Luisa Santa Maria from the Philippines. Also presented a special performance by the Brazilian Jazz Ambassadors, with guitarist Toninho Horta game is for two consecutive days. "This is our activity for the third time and we held on Batam Island. This year the committee itself a combination of jazz as entertainment, education, and appreciation. So that the viewer will reflect the composition of these three things. Later in the ending ceremony there will be Jam Session, as jazz tradition which we still hold today. Additionally Jam Session as well as an opportunity for young musicians to share stage with world music legend Toninho Horta, "he explained. Meanwhile, in a different place, Sapta Nirwandar as General Marketing Ministry of Culture and Tourism, said Asean Jazz Festival event, held in Batam is intended as an annual agenda towing tourists. As for tourists from neighboring countries, especially Singapore and Malaysia. Location of Batam Island as the place of the event considered strategic and are expected to be a booster of cross-border traffic. "The procurement of the show this time was made in the central business district as well as harbor ferry from and to Singapore and only applied for about 45 minutes, the Harbour Bay Batam. That way, tourists who are interested do not have to worry about the mileage if you want to watch this show. In addition, viewers will also be different diberika karna festival atmosphere situated at the waterfront with beautiful views of the lights of ships at night, "called Sapta.